Marcella, Raggedy Ann, and all of the other dolls are learning to read in this enchanting Level 2 Ready-to-Read! Marcella is learning to read—and she decides her dolls should learn how to read, too, so she begins teaching them! When she leaves, Raggedy Ann takes over and all of the dolls are having so much fun learning the different letters. But when the letter cards get all mixed up, the dolls have to put them back in order before Marcella returns! Can they use what they’ve learned to fix them in time? 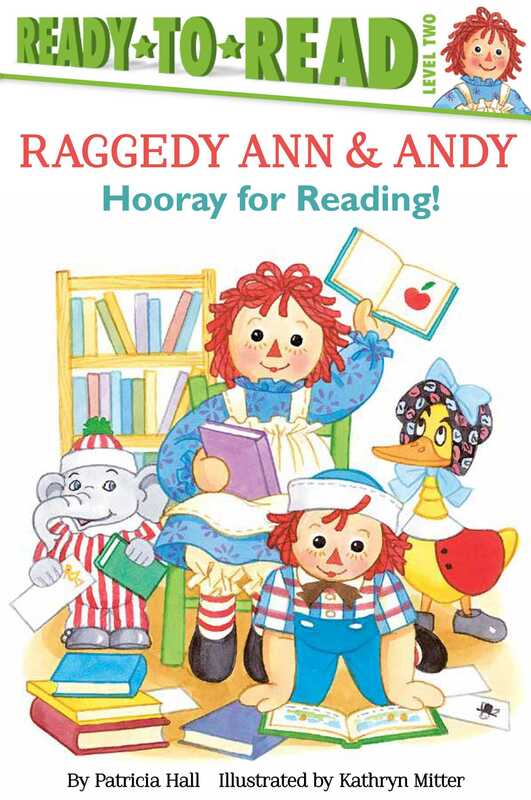 Celebrate 100 years of Raggedy Ann and Andy with this relatable reading adventure! Book Cover Image (jpg): Hooray for Reading!